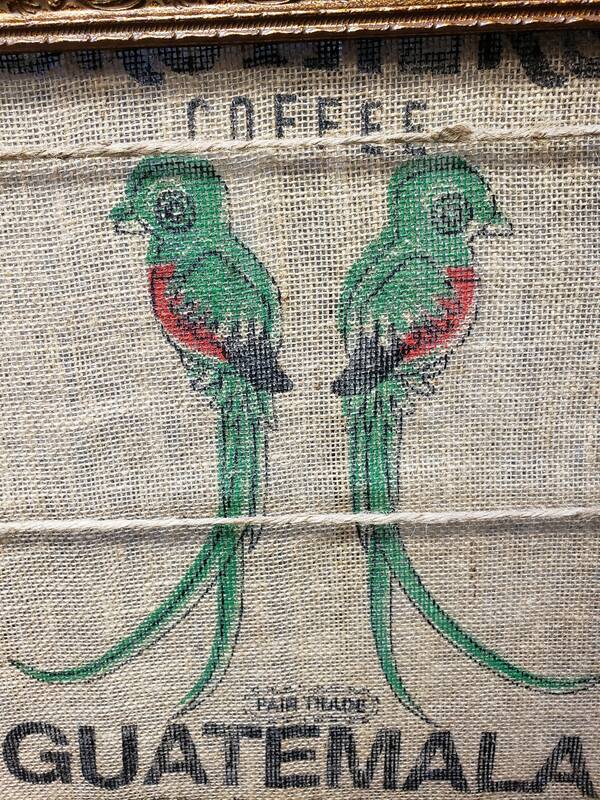 The photo display for the coffee enthusiast. 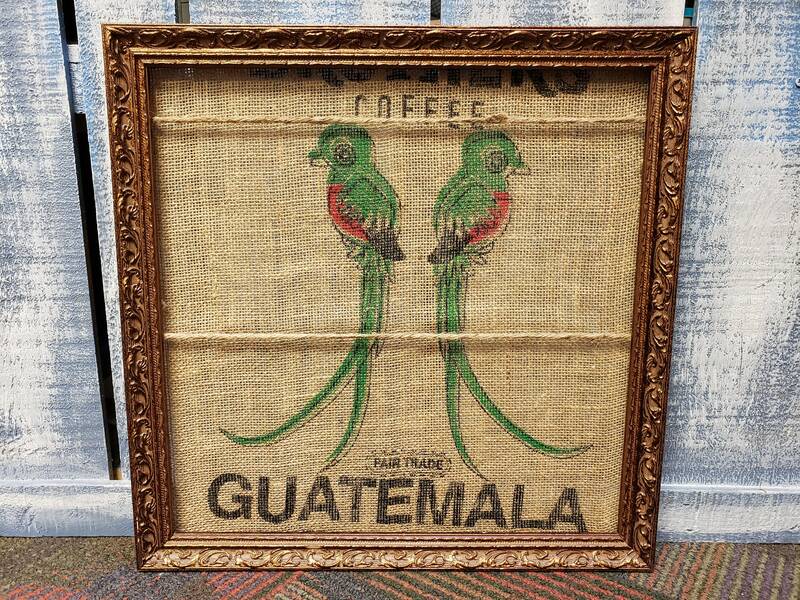 Upcycled from a burlap coffee sack that held fair-trade coffee beans from Guatemala. 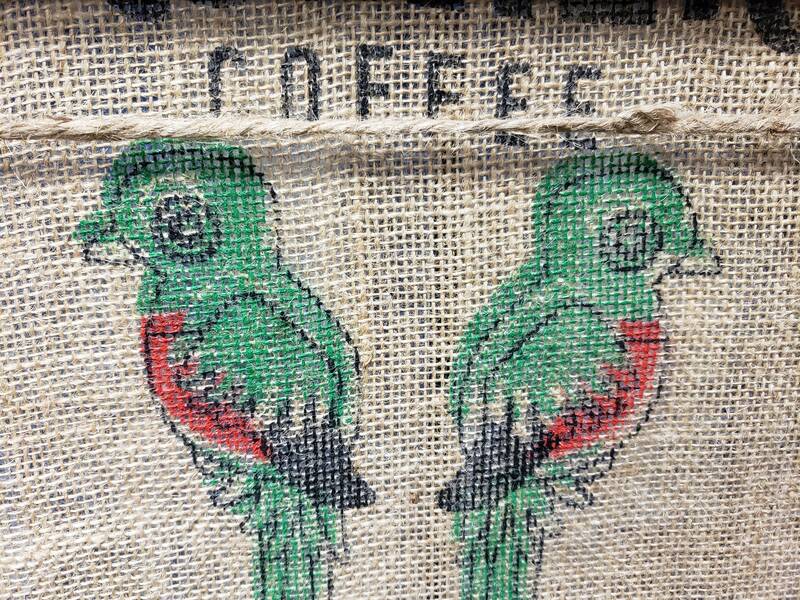 The colorful parrots add a touch of charm and whimsy to the board. Perfect gift for a man or a woman. In addition to the traditional use as a photo display, you can also use the board in your message center to hold memos for the family or for your office. Display cards from friends or clients. The uses are limitless. The story board comes with 8 mini clips. 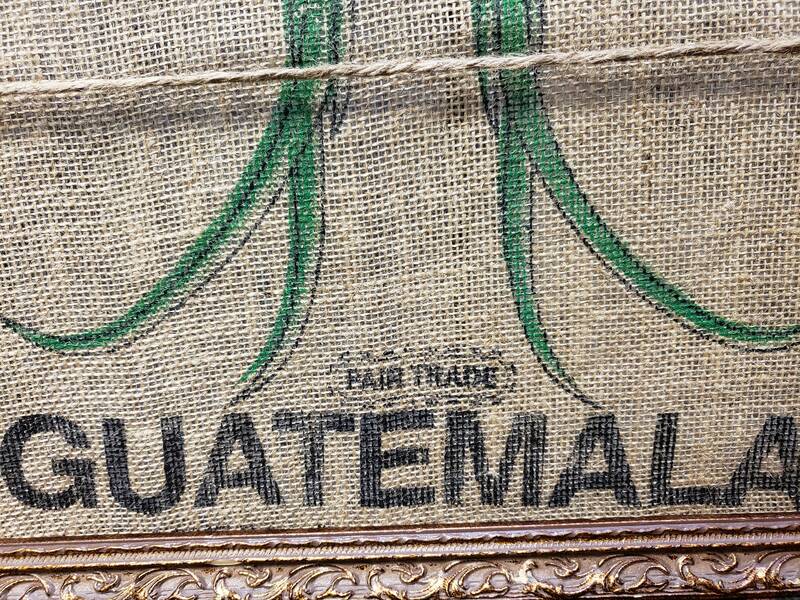 Outer Measurements: 16.75" high x 16.75" wide x .75" deep. Inner Measurements: 14.5" high x 14.5" wide.